Heading to a party, need to bring dessert? Or are you hosting everyone at your house? In charge of planning and assigning the holiday menu to friends and family? Keep in mind – not everyone loves pie! Add a delicious ice cream cake to the dessert table to surprise and delight the guests. From an office holiday party to a Friendsgiving potluck, a Carvel ice cream cake completes the holiday dessert spread. 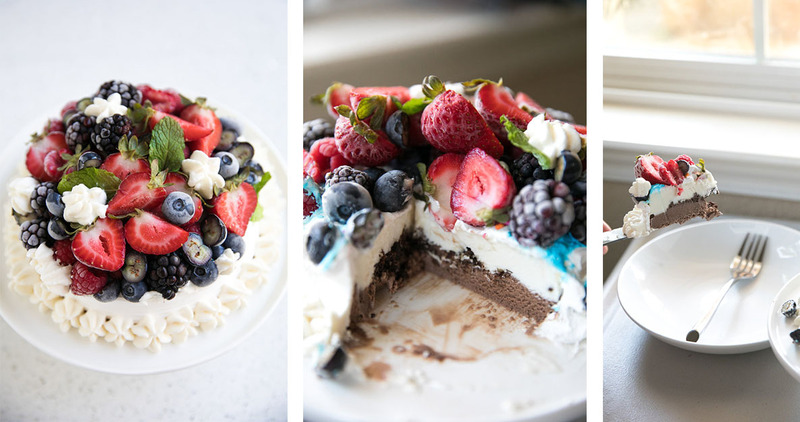 Our cakes are ready and perfect to serve as-is, or you can add a personal touch with these fun ideas from some of our favorite bloggers! 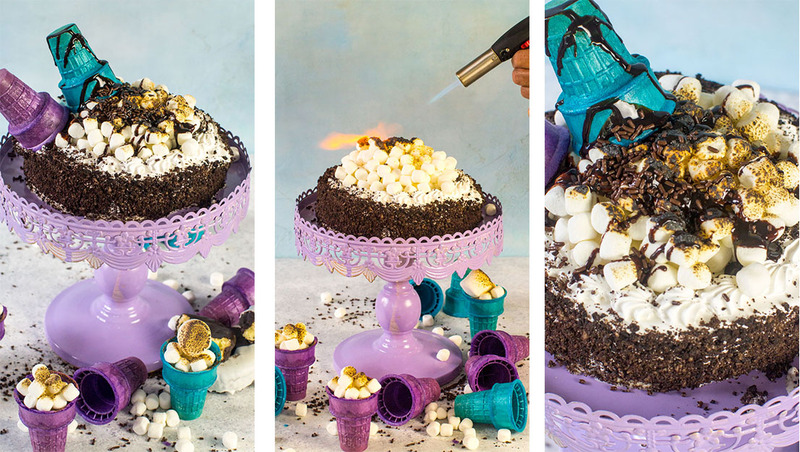 S’mores Ice Cream Cake – This easy, fun creation from Peas and Peonies adds a warm, feel-good flavor to our OREO ice cream cake. 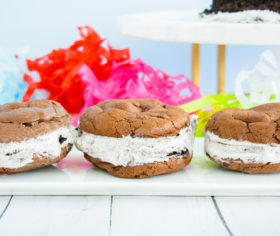 Double OREO Chocolate Ice Cream Cake – Two homemade chocolate cakes between two OREO Ice Cream Cakes. Homemade meets storebought for a gorgeous double-decker cake sure to be a dessert table favorite! Chocolate Hazelnut Hot Fudge – This special hot fudge sauce is spoon-licking good! 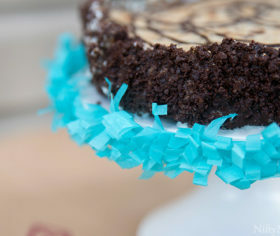 Perfect to drizzle over any ice cream cake or as a sundae topping for left over ice cream cake! 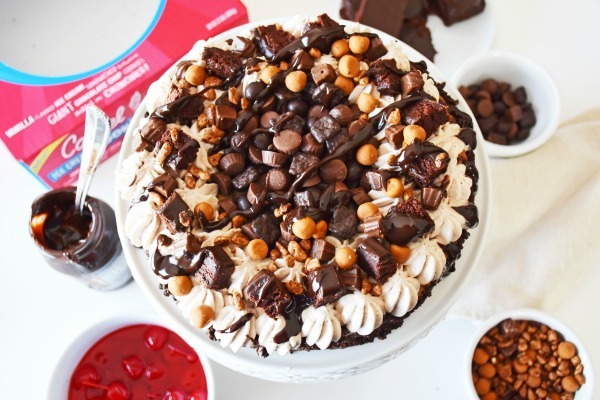 Death by Chocolate Cookie Cake – Turn our new Carvel® Ice Cream Cookie Cake into a sundae bar supreme with brownie chunks, whipped creams, and, of course, a cherry on top. 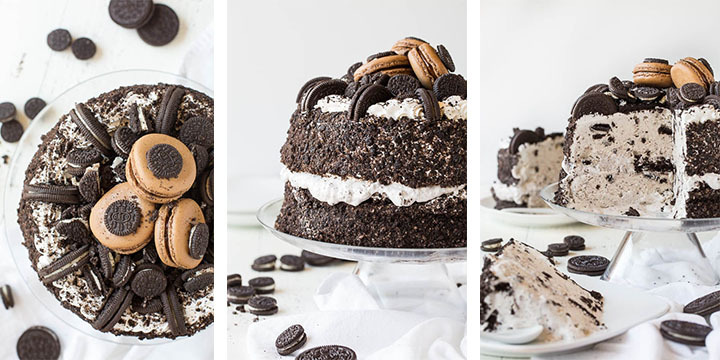 OREO Ice Cream Freak Cake – The holidays are full of splurging on seconds – and this cake is no exception! This beauty is an indulgent and decadent yet quick and easy dessert! This showstopper takes only 15 minutes to put together. Berry-Topped Lil’ Love – Add a beautiful pop of color with fresh fruit. 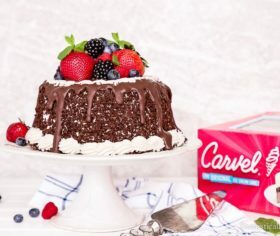 Top our Carvel Lil’ Love Ice Cream Cake with whipped cream and berries for a lovely slice. Gobble Gobble Cookie Cake – A super cute and simple touch to our new Ice Cream Cookie Cake. Create a turkey out of frosting and add some festive fun to the dessert table.